(1.) College Basketball. This still makes the list, even though my precious UK Wildcats didn’t make it to the tourney. Heck, they didn’t even make it to the basketball court most of the season. Nevertheless, I love March Madness and watching teams surprise everyone and bust brackets nationwide. FGCU, I’m looking at you. (2.) The beginning of Spring, Easter Sunday, warmer weather. Welp, you can cross that last one off. Except for the weekend Mom and Dad came to visit, it’s been downright freezing here. Considering half the country is covered in snow right now, I suppose I can’t complain too much. However, I didn’t move to Atlanta to be wearing my winter coat the week before April. Drew turned the big 2-6 this past Sunday. Before I began writing this, I had to take a trip down memory lane remind myself what exactly we did to celebrate. We definitely didn’t start the day out with a run like last year, that’s for sure. We actually ended up sleeping past 10 a.m., which is pretty late for us. 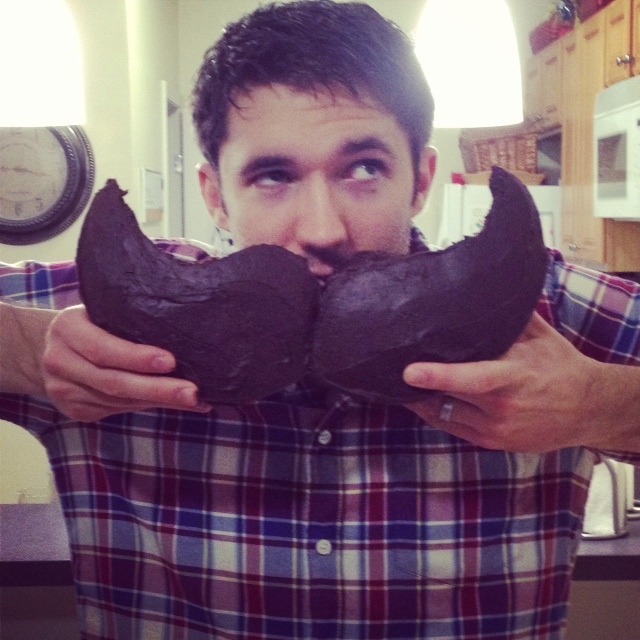 We’d had friends over to the apartment for cake and board games the night before and definitely needed the extra zzzz’s. 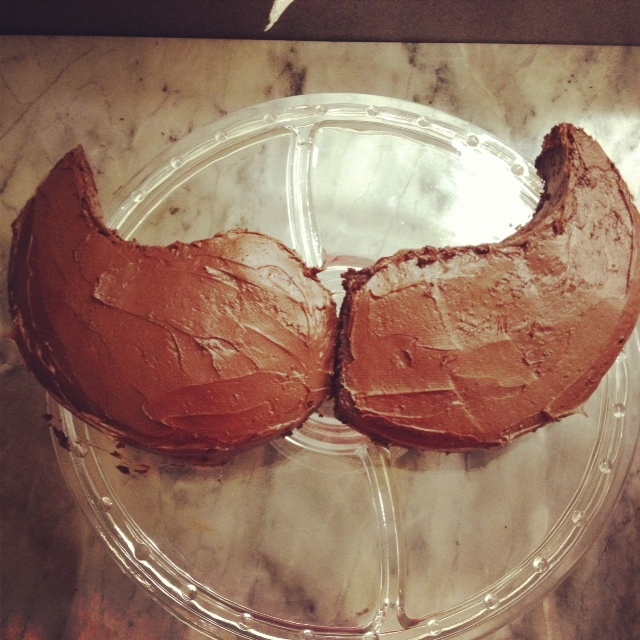 Drew loved the mustache cake I’d made for him. It took us about 10 minutes to figure out the right way to flip the pieces so that both sides turned upward. 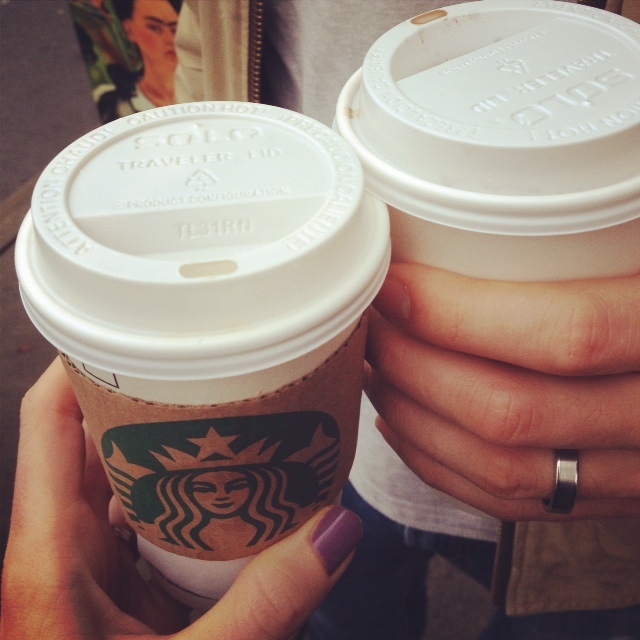 We started the day at Starbucks for free coffee (the best kind). Drew’s got a free mocha for it being his birthday, and earlier in the week I had received an email for a free caramel mocchiato. Win! 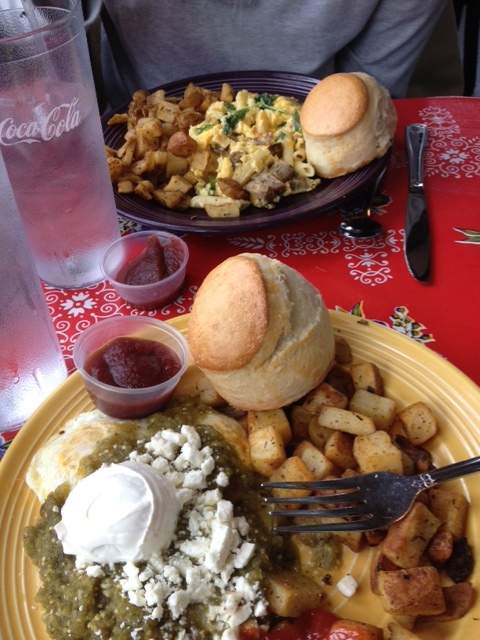 With our warm coffees in hand, we walked to Flying Biscuit for a spur of the moment brunch. Funny how we’d gone a year and a half without having been, then we go twice in the span of a week. And yes, we both ordered the same thing as the time before. Why mess with perfection? After brunch we drove to Canton to spend time with Drew’s grandparents. Drew has been building himself a bike with CR over the past couple months, completely from scratch. I haven’t ventured down into the basement mancave to see how it’s coming along, but I’m excited to see the finished product. Then he can start getting to work on mine 😉 We finished the night with dinner at Provino’s, a great family-owned Italian restaurant, then headed home to watch Walking Dead. For his birthday gift, I got tickets for us to see Need to Breathe in concert at the Fox Theatre here in a few weeks, so we have that to look forward to soon!